It’s Our Promise. Every Kia. Every Time. Australia’s Best Factory Warranty. Our Promise To You. 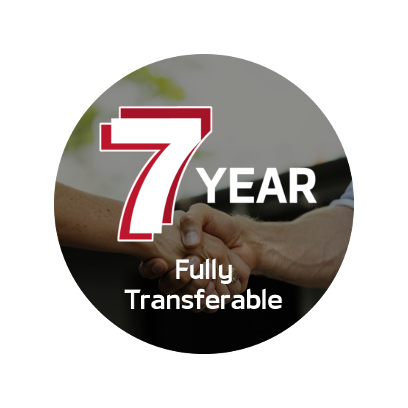 At Kia we’re always looking for ways to give you even more assurance. 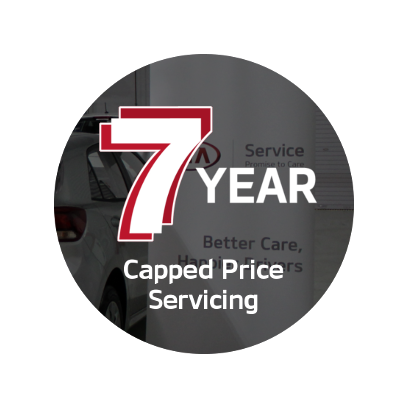 So not only do you know the maximum cost of your vehicle’s next scheduled service upfront, but we’ve also extended our capped-price offering to 7 years. It means no unexpected surprises once the work has been done on your Kia. It also means you can take your car to any Authorised Kia Dealer in Australia and get the same deal. You may take your KIA to any Authorised KIA Dealer for warranty and service. For a full listing of Authorised KIA Dealers, visit our KIA Dealers section on our website – www.kia.com.au – or call KIA Customer Service on 131 KIA (131 542). Costs associated with scheduled maintenance as detailed in the Owner’s Manual. Damage or surface corrosion from the environment such as acid rain, airborne fallout (chemicals, tree sap, etc. ), salt, road hazards, hail, wind storm, lightning, and acts of God. Lack of proper maintenance as described in your Owner’s Manual. Improper maintenance or the use of other than the specified oil or lubricants as recommended in your Owner’s Manual. Use of other than the specified fuel, improper fuel quality or fuel contamination. Any damage caused when a non-genuine KIA part or accessory has been used. Any damage considered to be part of normal maintenance, such as cleaning and polishing. Replenishment or replacement of oil, fluids, coolant, wiper blades, fan belts, filters, brake and clutch linings, spark plugs, light globes, gaskets and so on, as a result of normal wear and tear. Maintenance services described as ‘Scheduled Maintenance Service’, ‘Owner Maintenance Service’ or ‘Appearance Care’ in your Owner’s Manual. Adjustments, such as brake and clutch adjustment, adjustment of head lamps, wheel alignment, wheel balancing, engine adjustment, etc. Vehicles with altered odometer reading. Any repair of a KIA vehicle on which the odometer has been altered or on which the actual distance travelled cannot be readily determined may have warranty declined. KIA Parts and Accessories installed at the time of a retail sale of a new motor vehicle are covered by the KIA New Vehicle Warranty applicable to your vehicle, depending on the vehicle’s use. If Accessories are installed by an Authorised Kia Dealer after the retail sale, they will be covered for the remainder of the KIA New Vehicle Warranty period or for 1 Year, whichever is the greater. In the case where a replacement part is installed under the KIA New Vehicle Warranty during the vehicle’s warranty period, the part is covered for the remainder of the KIA New Vehicle Warranty period only. 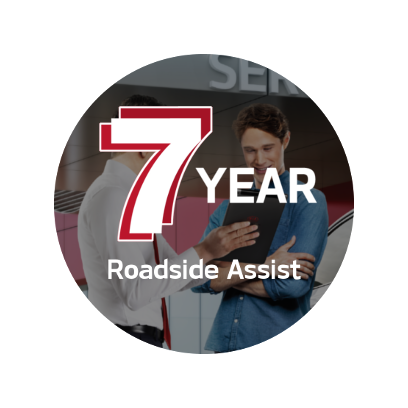 KIA replacement parts and accessories that are not installed by an Authorised Kia Dealer are covered by Parts and Accessory Warranty for 1 year or 20,000 kilometres, whichever occurs first. Should any defect be caused by or be attributable to any modification not carried out at the direction of KIA or KMAu, the KIA New Vehicle Warranty will not cover any part, component, assembly, equipment or accessory used in the modification, nor any part, component, assembly, equipment or accessory that has been damaged due to a failure which is attributable to the modification. Is towing covered by the Kia New Vehicle Warranty? If a component covered by the KIA New Vehicle Warranty fails as a result of poor workmanship or materials, rendering the vehicle immobile or undriveable, the cost of towing to the nearest authorised KIA dealer is generally covered under warranty. It is recommended that you contact your nearest Authorised KIA Dealer or call KIA Customer Service on 131 KIA (131 542) for guidance regarding warranty coverage prior to arranging towing. For vehicles eligible for Kia Roadside Assist call 131 KIA (131 542) for assistance. KIA does not manufacture LPG compatible engines for vehicles imported to Australia. Therefore, KIA advises that LPG should not be used in its range of petrol vehicles. The use of LPG in an engine not specifically designed for use with this type of fuel may lead to excessive wear, drivability concerns and engine management issues. If a LPG system is fitted to a KIA engine/vehicle, the KIA New Vehicle Warranty does not apply to the LPG system nor to any conditions/defects that are attributable to the LPG system installation or to operation of the engine using LPG. Are tyres covered by the Kia New Vehicle Warranty? Is the battery covered by the Kia New Vehicle Warranty? 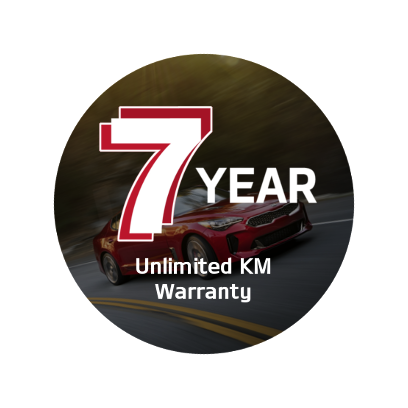 The battery on KIA Vehicles is covered for 2 years (unlimited kilometres) from the warranty start date. Do I have to pay any expenses in connection with the Kia Warranty repair? Parts and labour used in carrying out repairs covered by the KIA New Vehicle Warranty and conducted at an Authorised KIA are covered under Kia new vehicle warranty. If my vehicle breaks down, is towing covered by the Kia New Vehicle Warranty? In the unlikely event you should suffer a breakdown as a result of a defect which is covered by the KIA New Vehicle Warranty and the vehicle cannot be driven (or cannot be driven safely) & if your vehicle is eligible for roadside assistance, you should contact the nearest Authorised KIA Dealer to arrange for transportation of your vehicle.